We offer a number of different ways for you to join the club, renew your membership or order items from the club store. Choose the one best suited to you. 4. Download and print membership or renewal application in adobe acrobat (.pdf) format to mail or email to us. FOR MEMBERSHIP, CLASSIFIED ADS, STORE ITEMS AND MORE! Place membership number if known and optionally send any changes to vehicle information including year, VIN number, model and color in a separate email to us or in the add special instructions from that may appear in the PayPal form. 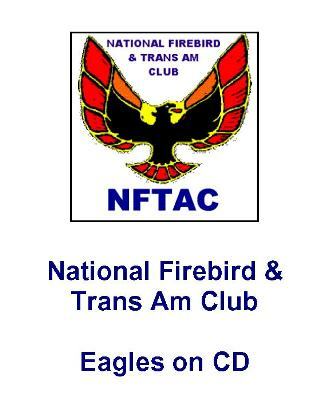 * eMembership - receive eEagle and access to Members Only section of website which includes online Eagle, tech staff contacts, etc. 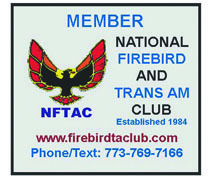 - no membership materials or printed EAGLE magazine sent via regular mail (this is included with all other memberships). 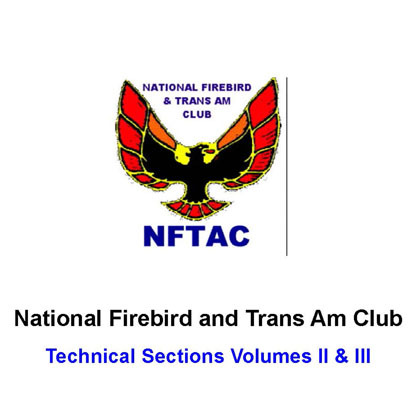 NOTE: Free t-shirts are available in Large, Extra Large, Double Extra Large and Medium and the color is usually white..
** NOW UPDATED TECHNICAL SECTIONS - Volume II & III, copies of technical topics published from 1998 to current in the NFTAC Eagle, indexed, on CD-Rom or emailed in pdf format for PC or Mac, (see list of articles and topics here). 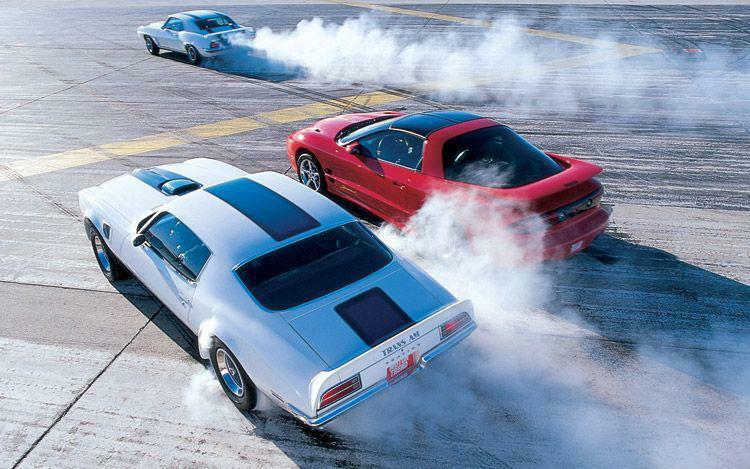 SEND PICTURE AND/OR STORY ABOUT YOU AND YOUR CAR TO BE USED IN THE MEMBER MAGAZINE!! 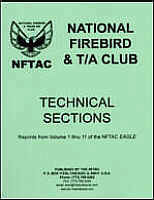 (send the ad copy itself via regular email to info@firebirdtaclub.com or use the ad submission form here). We offer free classified ads for members. 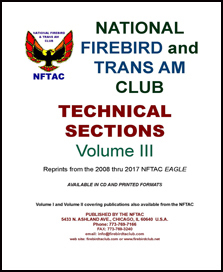 Classified ads appear on the website, the emagazine and in the National Firebird and Trans Am Club printed member magazine and emagazine. Free ads are limited to one per issue and to 50 words. For nonmembers (or additional ads for members) the rate is $15 for 50 words or less. Additional words are 50 cents each (ads with additional words should be paid for using other payments). Ads include one color photo. Additional photos are $10 each. The ads appear on our website as well as in our member emagazine and in our emagazine. Place other instructions in the add special instructions to the seller area of the payment form. - specify which issue in the and special instructions to the seller area of the payment form. 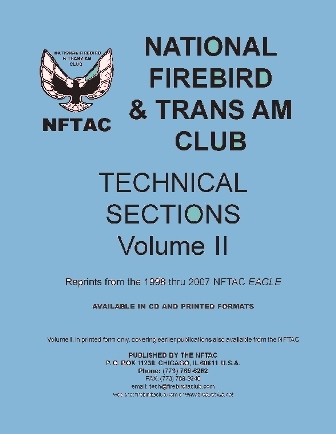 The Professional Series CD includes several years of shop manuals ONLY, no parts books or other material. Dollar Payments for shipping, ad sales, etc. Ten Dollar Payments for shipping, ad sales, etc. Hundred Dollar Payments for shipping, ad sales, etc. Thousand Dollar Payments for shipping, ad sales, etc.